College kids are notorious for a lot of things: Netflix-binging, drinking copious amounts of coffee and alcohol, staying up ’til the early morning hours, making poor diet choices, and, well, just being poor. As a current college student, I can relate to many of these things, especially the being a little broke part. And I understand how difficult it can be to save money when there are so many other things grabbing at your wallet. 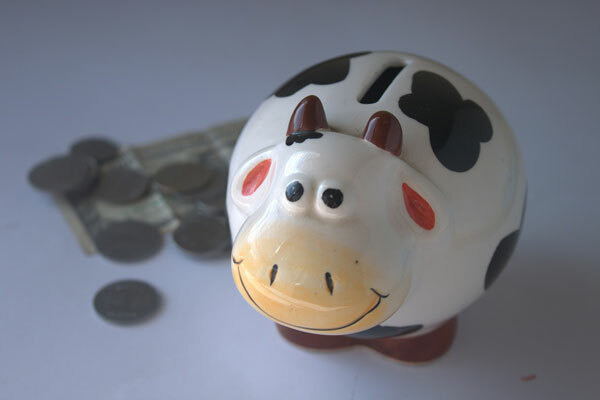 If you’re trying to save money, one thing is certain: you need to have a saving account. If you don’t already have one set up, do it ASAP! I personally try to deposit a little bit into my own account whenever I can, and I refrain from withdrawing any money unless I really need to. If you have a part-time job, see if you can get your paychecks by direct deposit; then you can opt to have a percentage directly deposited into a savings account as well. It won’t even register as money you get to spend, because you’ll never see it in your checking account! Keeping money in a savings account rather than just in a checking account really does make it easier to save. Spending money from a checking account is as easy as swiping your debit card, but there are more steps involved when it comes to spending money stashed in savings. If you’re already on a college campus—but looking to move off of it—you’re probably well aware that local apartment complexes are constantly trying to get new people to sign one of their leases. They run new specials all the time, so it isn’t unreasonable to expect to have your security deposit waived or your rent costs lowered a bit if you hold out until they’re offering a promotion. By waiting until I saw a good deal, I managed to have my deposit waived and $500 taken off my costs for the year. Score! I work a summer job, which means I’m earning money while I’m home. This of course means I have a greater ability to save money. Can’t save what you’re not making, right? Depending on my schedule this fall and whether or not I’m interning anywhere, I may also end up picking up a part-time job for the school year, which, again, will allow me to save more. Granted, rolling a part-time job in with your full-time studies can be hard, but it’s doable with time management, and you can get more out of it than a paycheck, like an experience you can put on your résumé. The ideal would be a part-time paid position that’s related to my major and career interests, so you can kill two birds with one stone. A number of stores and restaurants offer deals just for pulling out your student ID. Subway, Apple, Charlotte Russe, Adobe, Chick-Fil-A, and tons of other places offer discounts for students. (A quick search online will turn up tons of lists of stores with student discounts, and your college’s student union might have a handy list too.) The point is, be sure to take your ID wherever you go. This may seem a little silly, but I save quite a bit of money doing my own eyebrows and hair (sometimes). In high school, I would pay $8 every few weeks to get an eyebrow wax (which looked fantastic, don’t get me wrong), but when I left for college, I started plucking them myself. It’s more time consuming, but it’s saving me over $150 every year. Similarly, DIY hair color is substantially less expensive than paying someone else to do it, and it’s relatively easy. When I decided to go back to my natural brunette hair instead of sticking with blonde for a few more months, I went to Sally Beauty Supply and picked up the supplies I needed. With some advice from the Sally employee and just a little bit of help from my younger sister, I made it back to my old hair color, and I did it for less than half what it would’ve cost to go to a salon. When I want new clothes, I wait until there’s a good sale going on. Sales happen all the time, so when I really want something new, it’s never a very long wait. Waiting until my favorite jeans cost $25 instead of $55 is obviously a massive money saver. And you can’t forget about thrift shops, clothing swaps with your friends, and consignment shops. Speaking of which . . . When I decide to get rid of some clothing (which doesn’t happen nearly as often as it should, I’ll admit), I sometimes take it to a consignment shop. It doesn’t bring in a lot of money, but a few bucks for dropping off some old jeans is better than no money for letting them sit in my dresser unworn for another year. Starting this year, I’m limiting the amount of Starbucks I buy. Coffee is great, and coffee is delicious, but coffee is also expensive, especially when it comes in that iconic Starbucks cup. All those purchases really add up, and while I think it’s totally okay to splurge sometimes, it’s unrealistic to have it every day. Besides, have you ever tried making your own cold brew? Delicious! Purchasing your textbooks from your school’s bookstore almost guarantees you’ll pay way more than you need to. Instead, hit up bigwords.com (or one of its many competitors; Google “cheap college textbooks”) and search for the cheapest textbooks you can find. You can almost always buy used copies—if you need to buy at all. Grab your syllabus and do a little research on professor rating sites and college review sites to see if you can get a sense for how much the textbooks are really used in your specific classes. You might be able to get away with using the campus library’s copy of your textbook. Your bank account will thank you. When you really think about it, saving money doesn’t have to be as hard as it seems. It will, of course, take some extra time, and it’ll definitely take some extra effort—but doesn’t that apply to everything worthwhile? I like putting my thoughts into words.